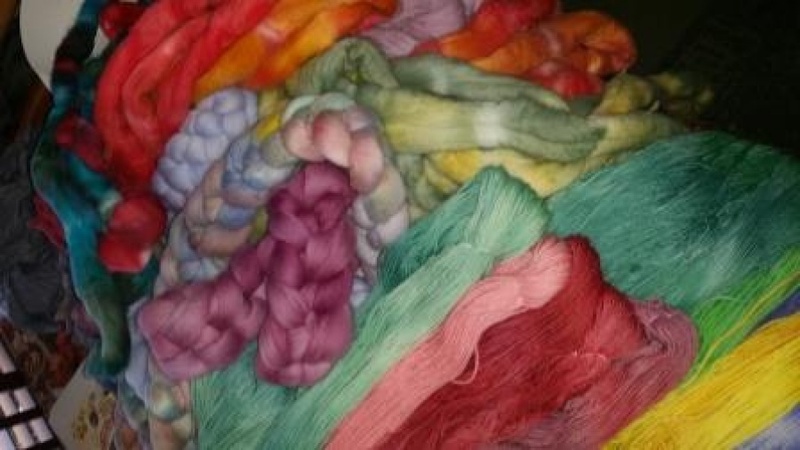 WE LOVE TEXTILES - spinning, weaving and dyeing, as well as crochet and knitting and the Studio door is open on a very limited basis. We are usually spinning or weaving and we're always happy to demonstrate or help you out with techniques or thoughts! The stash is also available to ewe! We use all these bits and pieces in our own work, and it's just as easy to open the door and let you share what we have on the shelf! It's one of the very few outlets in Tasmania stocking a range of fleeces, fibres, silks, hand dyed top and yarns and hand spun wool for knitting and crochet. There are also 'make your own' craft kits, books & patterns and spinning and weaving supplies. As The Lucky Ewe specialises in TASMANIAN SUPERFINE MERINO and HERITAGE ENGLISH LEICESTER fibre and yarns, these are available to ewe too! New seasons' CORRIEDALE fleece coming in the New Year too. Handmade and unique knitted, handwoven and felted clothing and accessories - skirts, jackets, scarves, wraps - homewares and gifts are on the shelf as some of our talented colleagues take a chance on tempting you too!